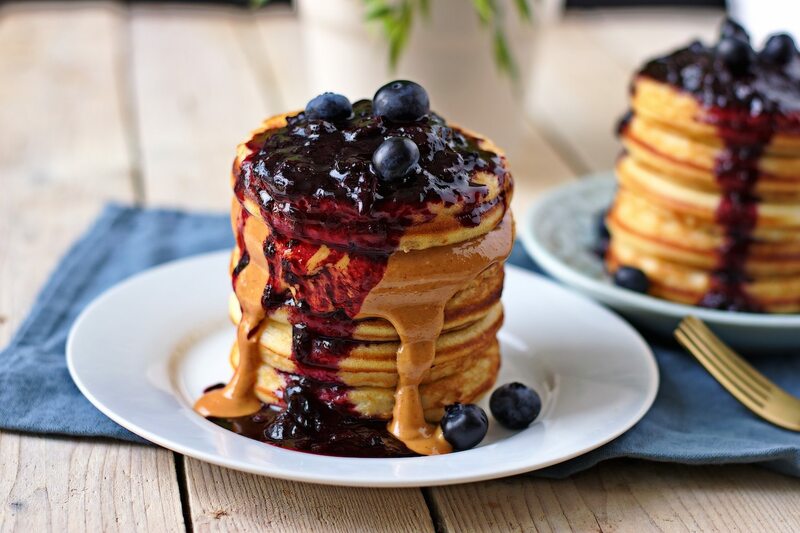 Pancakes are a breakfast classic, but they often get a bad rap. If you’re making them from scratch, they can actually be quite healthy – and it’s super easy to add lots of protein! *A lot of people are wary of using protein powder because they think it tastes chalky, and if you use too much, it definitely can! I’ve found that cooking it into foods – like pancakes – greatly reduces this effect, and aside from a hint of vanilla, you can’t even taste it. Who doesn’t love a good smoothie on hot summer days? Similar to the pancake “recipe,” this recipe is super flexible. 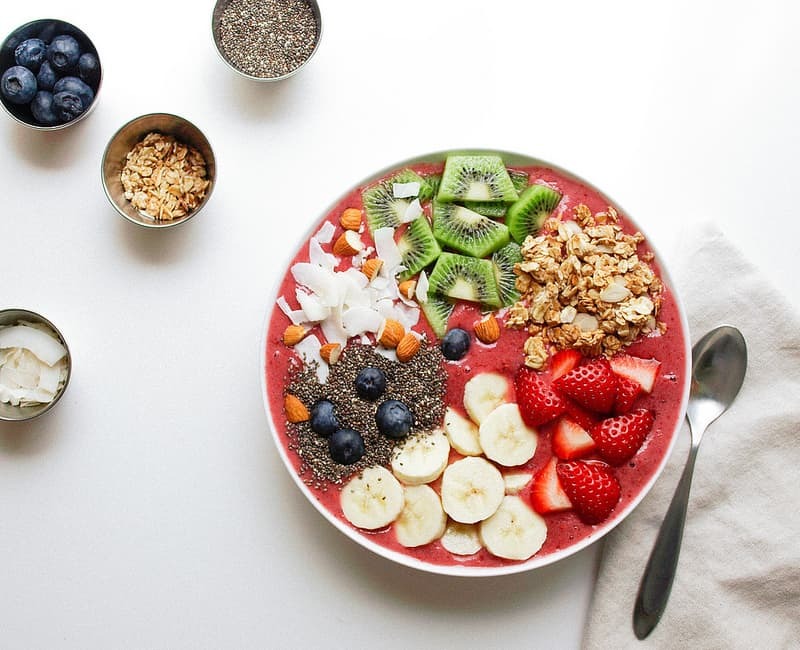 The first thing I do when making a smoothie bowl is to create the base. You’ll want to make this a bit thicker than your average smoothie, so just use a little less of your liquid base than you normally would. I like to use a handful of frozen berries, 1 fresh banana, and ½ – 1 cup of almond milk. Then I add in ½ – 1 scoop of protein powder and a tsp of maca powder and blend it all together. If you’re using a peanut butter powder like PB2, I recommend blending it with the base. If you’re using a nut butter, I recommend waiting to add it on top. You can also blend in some greens if you’d like. Once it’s all blended together, pour it into a bowl and add toppings. I usually add a tbsp of chia seeds, a tsp of vanilla almond butter, some banana or strawberry slices, and about ½ cup of granola. When I don’t have a lot of time in the morning and need something fast, my go-to has always been oatmeal. I usually pour about ½ cup of oats into a bowl and add hot water first so I can let it sit while I prepare the rest of the ingredients. You can add any fruit you want, but my favorite is diced apple chunks because they add a bit of a crunch. While I let the oats soak, I chop up the apples. 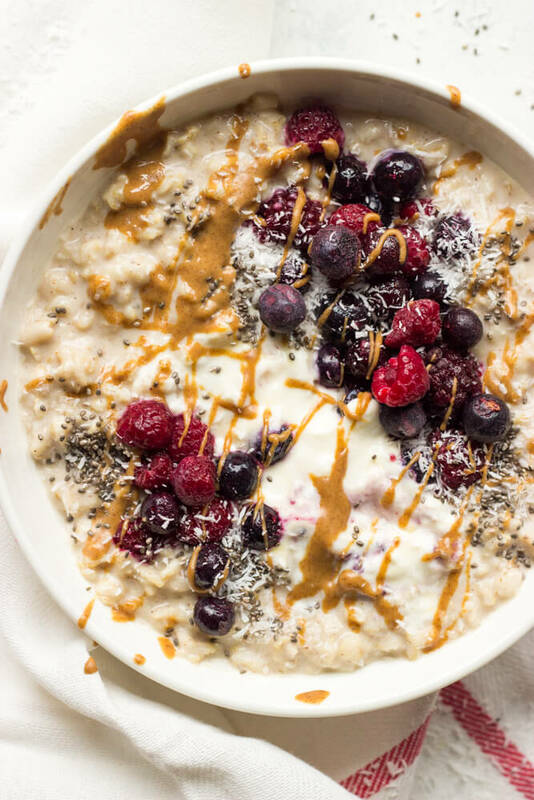 Once the oats have begun to absorb some of the water, but not completely, I mix in ½ – 1 scoop of protein powder, a tsp of maca powder, a tbsp of chia seeds, and some cinnamon. Lastly, once the mixture is the consistency you want, you can mix in your fruit and a spoonful of nut butter. And you’re done! This usually takes about 5 minutes.